What Whistleblower Protections Exist in Texas? Although it would be ideal that all employers, governments, and organizations would follow all legal and ethical formalities, this is often not the case. 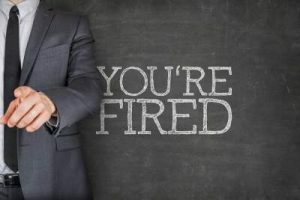 Many states have implemented laws to protect individuals who report such illegal and unethical actions by employers, governments, and organizations. Is Texas one of those states? Let’s see. Click to find employment lawyer nearby. Employers may retaliate against these employees which gives the need for states to provide protections for these whistleblowers. Do Whistleblower Protections Exist in Texas? Like other states, the state of Texas has implemented laws to protect whistleblowers. However, it is important to note that not all whistleblower actions are protected by these laws. In fact, unlike other states, Texas does not provide a maximum of protection for whistleblowers. Texas implemented the Texas Whistleblower Act and other laws that are tailored for specific instances. It is important to consult a legal professional when faced with a whistleblowing claim to explain whether the claim is protected with Texas Law. In order to discuss the legal protections that Texas does provide whistleblowers, it is monumental to discuss the Texas Whistleblower Act. The Texas Whistleblower Act is designed to protect the legal rights of public employees who have reported legal or ethical violations by a public employer to an appropriate law enforcement agency. (a) A state or local governmental entity may not suspend or terminate the employment of, or take other adverse personnel action against, a public employee who in good faith reports a violation of law by the employing governmental entity or another public employee to an appropriate law enforcement authority. investigate or prosecute a violation of criminal law. It is extremely important to realize that the Texas Whistleblower Act protects public employees instead of private employees. What this means is, in order to have a valid claim under the Act, the claimant must be employed by a public or governmental entity. As mentioned above, this is a prime example of how Texas law provides limited protections to whistleblowers. (In order to learn more on the Texas Whistleblower Act, see the Texas Whistleblower Act Article). As stated above, Texas law does provide protection to whistleblowers other than the Texas Whistleblower Act. However, these laws are tailored to very narrow and specific occurrences. If one has a potential whistleblower cause of action, it is important to consult legal professionals in order to discuss further options. 2 Do Whistleblower Protections Exist in Texas?